From the beginning of the Fund in 1976, business and government leaders have circled like sharks around the Peoples’ treasure and worked to raid it. 2018: Why is there a raid now? The State has spent billions from savings to cover deficits of the past several years. The $3.5 billion budget deficit from 2016 has decreased to $700 million in 2018 as oil prices have increased. It’s a big challenge to cut the budget and raise revenue, so our government wants to spend the easy money of the PFD and Fund on government instead of other options. Don’t make it easy for them to steal it! Lawmakers can legally spend up to half of the payout from earnings reserve on government. This reserve currently totals over 18 billion in 2018 but they want to loot the PFD too. The current law to pay dividends from Permanent Fund earnings has a calculation to provide that 50% of the payout may be used for government and the other 50% to provide PFDs. The Governor has vetoed almost $670 million from PFD checks that is sitting in the earnings reserve. The Legislature cut about the same amount from the PFD in 2016 and 2017 and that is also in reserves now. Leaders are ignoring the law with direction that PFD money “shall transfer” to dividends according to the PFD statute formula. The PFD is called the “Third Rail of AK politics.” It means the PFD issue is so charged that any politician who touches it will suffer politically and the voters will kill a politicians career. Show these politicians the consequences of stealing your PFD. Make it loud and clear in the next election this is 110% true – the PFD Third Rail is dangerous to trespassing politicians. The power of the Third Rail is in your hands, ALASKA VOTERS! Zap the Raiders with your votes. Fire them and end their political careers in November, 2018. 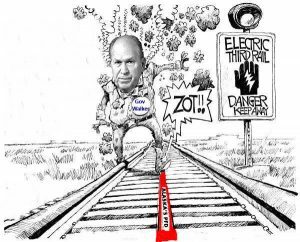 Governor Bill Walker dropped out of the Governors’ race in Oct. 2108 – The Third Rail works. RAID May, 2018: The Legislature cut the PFD to $1600 ($1100 loss) and set-up a 5.25% POMV to pay for government. No public vote for consent and the Session adjourned after the filing date for a public Referendum vote to repeal this law SB26 in 2018. 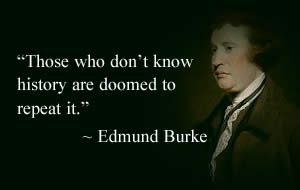 The public’s rights and the Permanent Fund system are not protected by these politicians. RAID October, 2017: Supreme Court decision approved the Governor’s veto cutting PFDs in half. This action overrides the law and makes the dividend available for appropriation for government. This is the end of the PFD as Alaskans have known it since 1982, their rightful share of resource wealth. 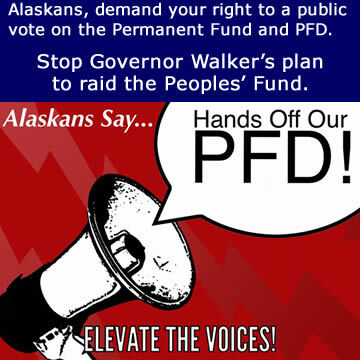 The only way to protect the PFD now is in the Alaska Constitution by a vote for an amendment. In the 2018 Session Alaskans are campaigning for a vote on this amendment that must be put on the ballot in 2018 by a 2/3 vote of the Legislature. In 2016, over $5 million for ads and lobbying was spent by government, Alaska’s Future business group with GCI, and the Rasmuson Foundation to gain access to the People’s money for government spending. See Alaska’s Future details at www.akfuture.org . They are now circling back around in the 2017 with the same plan to restructure the Fund and cut the PFD without voter approval. According to the Alaska Constitution, the Fund and resource wealth belongs to the People not government. Politicians are getting around the law to steal Alaskans’ gold! In the past, all Alaska’s Governors have promised to hold a public vote for Fund changes. Governor Walker is the first to break that promise. Alaska Governors Bill Sheffield, Steve Cowper, Wally Hickel, Tony Knowles and Frank Murkowski all proposed cutting dividends. If these plans had succeeded the Fund would not have grown as it has and the economy would have slowed due to PFD cuts. In 1999, Gov. Knowles pledged he would hold an advisory vote on a budget plan that tapped the Fund earnings to pay for government. He said that since Alaskans approved the Permanent Fund by a public vote, Alaskans have a right to vote on changes to the Fund. In 2016, Gov. Knowles abandoned this good reasoning and now leads the Alaska’s Future group trying to raid the Fund without a public advisory vote. CAN YOU HELP PAY FOR ADS AND EVENTS? → Contact pfd4ak@gmail.com For Details. Now is the time to join the fight to secure the People’s money or lose what rightfully belongs to Alaskans. CLICK HERE TO DONATE THROUGH GOFUNDME to support a statewide media campaign to inform Alaskans that the People own resource wealth, publicize candidates’ records as PFD friends or foes, and organize Alaskan voters to take action. We support restoring all the PFD funds cut from past PFDs and a public vote (on SJR1) for a constitutional amendment to protect the PFD. Thanks for doing your part! 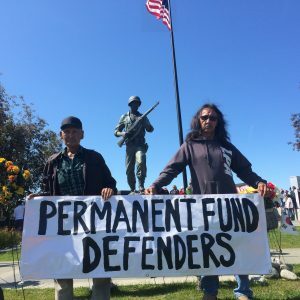 We are a group of Alaskan leaders from all political parties working with Alaska residents to understand and protect our Permanent Fund and PFD from attacks. Many in this group were involved with founding the Permanent Fund and we are determined to preserve this great legacy for current and future generations. Standing Together As A Voting Block Is The Only Way To Beat This Attack On The Peoples’ Fund.